Beat Magazine calls Shelley's voice an "enchanting, knowing croon...with brilliant pop melodies." Raised in a traditional Jewish culture, Shelley Segal ultimately found herself an atheist with a new zest for life and a message of encouragement for others to do the same. 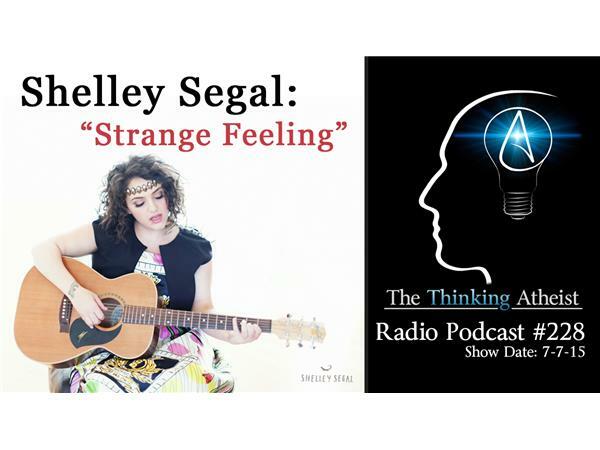 Her music can often be heard at freethought conventions, and her new album, "Strange Feeling" just released. Shelley Segal joins Seth Andrews for some conversation. And...she's bringing her guitar.